Amplifi HD is a new addition to the growing list of mesh Wi-Fi routers, which use additional Wi-Fi repeaters to help spread a wireless network throughout the home. This type of router is becoming increasingly popular as it’s an easy to set up, and effective, method for ensuring that all the devices in your home can access the internet. Well-known names such as Google (with Google Wifi), and Netgear (with the Netgear Orbi) have released mesh routers to critical acclaim, so how does a relatively unknown brand stack up against these stalwarts? We plugged it in to our home network to see how it does. 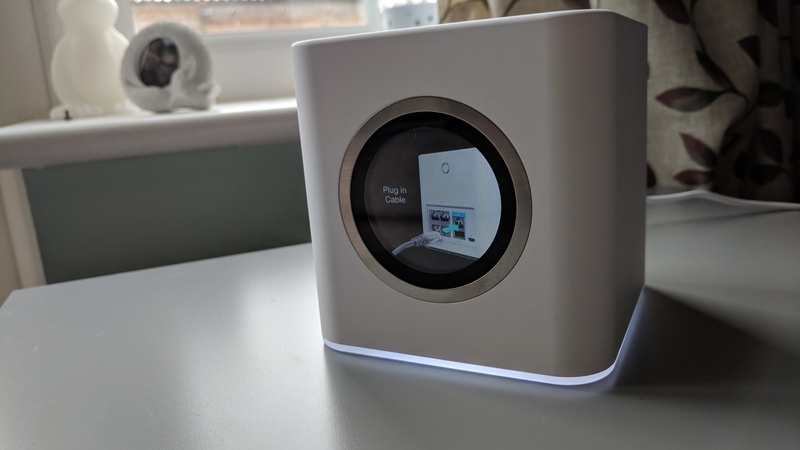 The AmpliFi Mesh Wi-Fi system can be bought as a bundle, and includes a router base station and two wireless ‘super mesh points’ called ‘MeshPointHD’ for extending the Wi-Fi coverage, and costs $311.99 (£360, around AU$380). You can also buy the parts separately from the Amplifi website, with the router itself costing $133.99 (£150, around AU$180). This is a more palatable price, though of course without the mesh points, you’re missing out on quite a bit of functionality. The MeshPointHDs can also be bought separately, and cost $108.99 (around £80, AU$140). If you don’t have a huge house, then buying the router and a single mesh point separately will be more cost effective. However, for most people, the complete bundle will be the one to go for, which means it’s one of the more expensive mesh routers out there. Google Wifi, which we really like, costs less, with a price tag of 299 (about AU$389) for a set of three Wi-Fi units. 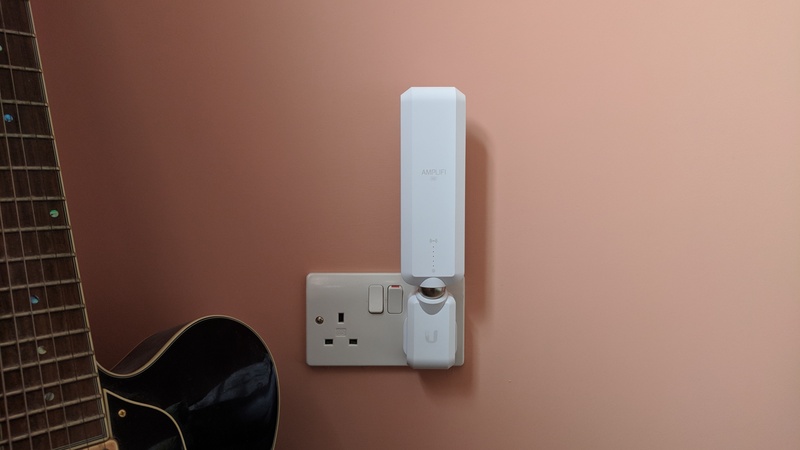 In the UK, Google Wifi comes with a two unit set costing £229, with additional units costing $129 (£129, around AU$167), which means it will cost around the same price as the AmpliFi Mesh Wi-Fi with a main router and two mesh points. 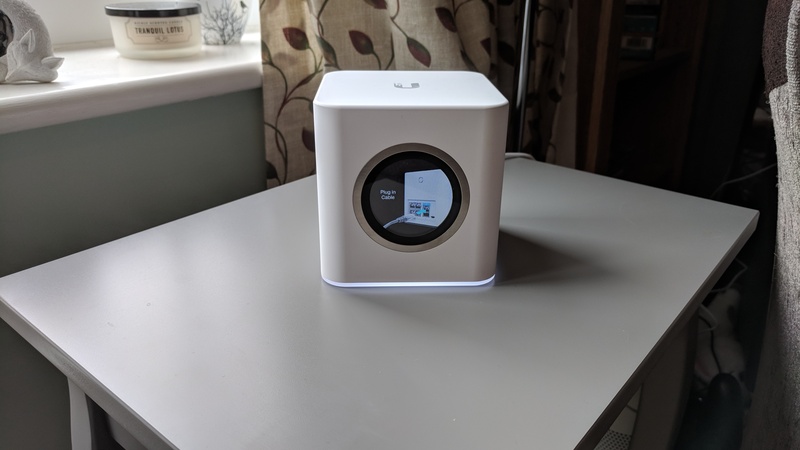 However, the AmpliFi Mesh Wi-Fi system is cheaper than the Netgear Orbi, which costs $399 (£399, AU$749), though it only comes with two units (a router and a &apos;Satellite&apos;). So to get a third unit, you’d need to pay an additional $249 or £249 (about AU$329) – making it a fair bit more expensive. If you’re in the UK, then there’s also BT Whole Home Wi-Fi, which has had a drastic price cut to just £199.99, and offers three units. In an increasingly crowded market, you need to stand out from the pack, and the Amplifi HD achieves that thanks to a stylish look that combines a minimalist design with some genuinely useful features. From the box to the design of the router, there’s an obvious Apple influence here. The box it comes in has a number of tabs and fold out parts that certainly bring to mind the fancy packages of Apple products, and it feels like Ubiquiti, the company behind the Amplifi HD, really want to show that this is no ordinary router. The main router unit is a white cube that can sit in the palm of your hand, with a round LCD display at the front, and the ports at the back. Again, the influence is clear, and it’s little surprise to learn that Robert Pera, the CEO of Ubiquiti, used to work at a certain fruit-themed company. 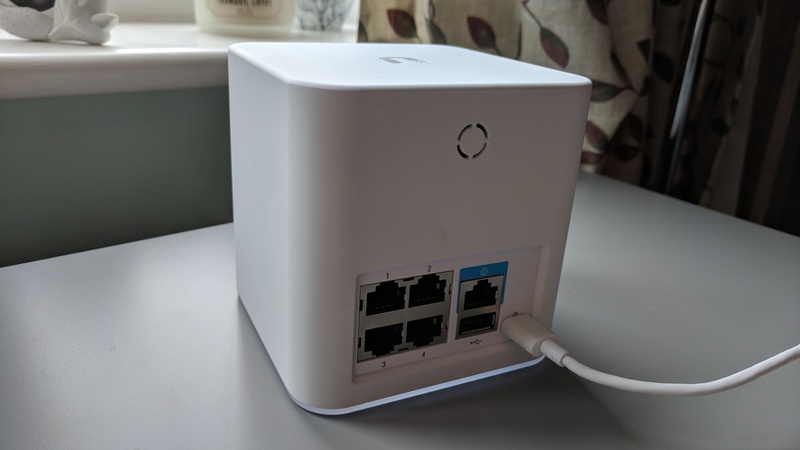 Considering the minimalist design, it’s good to see that the router still comes with plenty of ports, with four Gigabit Ethernet connections for wired devices, and another Ethernet port to connect to your modem. There’s also a USB port for sharing printers and storage devices across your network, and a USB-C power port. It’s easily one of the better looking routers we’ve seen, and that’s saying something when the likes of Google and Netgear have been upping their games lately when it comes to stylish networking devices. 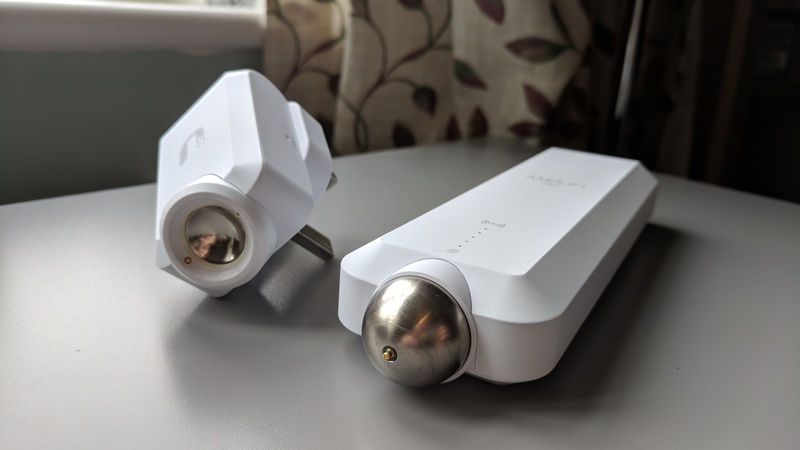 It’s definitely a gadget that you wouldn’t mind having out on display, rather than hiding it away like you’d want to with more ugly routers, which helps improve wireless strength, as it won’t have to battle through cupboard doors and other obstacles. When plugged in, the screen lights up, and a subtle white light along the bottom edge of the unit begins to glow. Overall, it looks very nice. 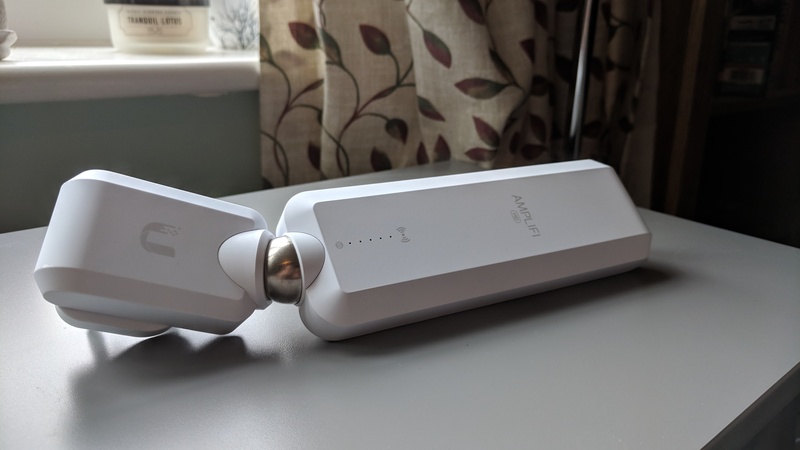 Unlike some wireless mesh systems, like Google Wifi, the three units that make up the Amplifi HD system don’t all look the same, with the two MeshPointHDs signal boosters having quite a different, yet still quite striking, design to the main router. They are both long white oblongs that plug directly into a power socket. The main body of the MeshPointHD is actually attached to the power supply via a magnetic ball. This allows you to angle the body to help improve Wi-Fi coverage. On the whole, the design of the MeshPointHD isn&apos;t quite as successful as the one for the main router. They are quite large, and don’t match the understated design of the router. We can see the usefulness of the articulated magnetic joints to maneuver the antenna, but if they were small, cute squares like the router, the whole system would be more attractive. Despite our reservations over the MeshPointHDs, the design of the Amplifi HD, especially the router, is very impressive, and if you’re an Apple fan, you’ll likely approve of the Cupertino-esque aesthetics. 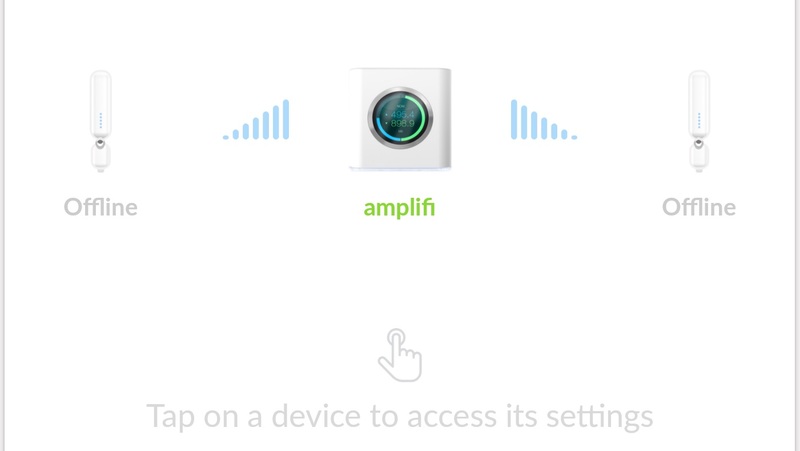 On plugging in the Amplifi HD, the screen lights up and asks you to download the Amplifi app for either iOS or Android devices. You can also use the touch screen on the front for more options. The app makes setting up pretty easy, with an animated video taking you through the process of connecting up the router. The app quickly found the Amplifi router and took us through the steps needed to configure the device. The well-presented app, along with the touchscreen display on the router itself, made this one of the most straightforward router installations we’ve ever experienced, and will certainly appeal to anyone who doesn’t like having to mess around with any settings. Once set up, we were able to test out the main Amplifi HD router, and even without the MeshPointHDs installed, we found it had a impressive range, reaching the third story of our building with a decent signal strength. When testing the internet speeds, we got 74.6 Mbps download speeds in the same room as the Amplifi router (which was pretty much the maximum speed of our connection). One floor up, the speed dropped slightly to 74.1 Mbps, and on the top floor of the three-storey building we got download speeds of 68.3 Mbps. This is pretty decent performance for such a small router with no external antennae, and shows how you don’t necessarily have to have a big bulky router in the vein of the Linksys WRT32X to get good coverage. This impressive performance also means you may not need the MeshPointHDs signal boosters unless you have a very large house. Adding the MeshPointHDs signal boosters was, again, pretty easy. All we needed to do was plug them in to a power socket, wait a few minutes and they would appear in the Amplifi app. From there you can see the signal strength, as well as notes about whether or not the MeshPointHD is installed in an optimal place to boost the Wi-Fi signal. However, we did find we needed to plug it in to a few different places ourselves to get good results. Once we did, we saw the speeds at the top floor of the house (where the MeshPointHD was installed) climbing to 74.4Mbps, pretty much the same speed as when we were in the same room as the main Amplifi router. 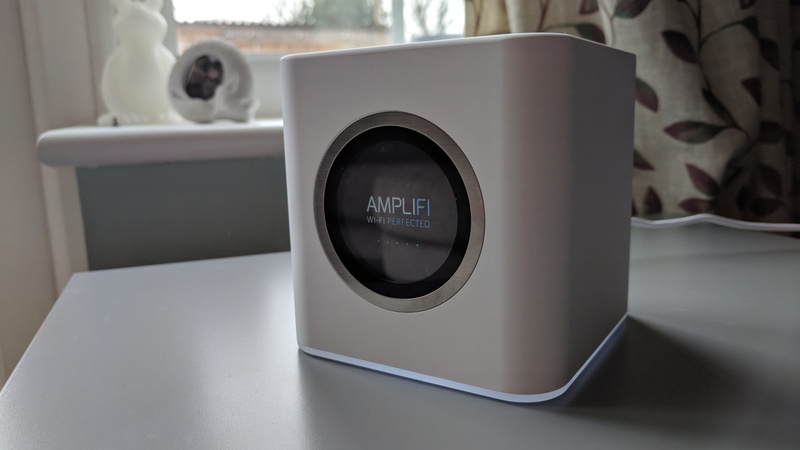 So, the performance of the Amplifi HD is more than good enough to quickly set up and then just leave it to do its thing, competently providing internet to all corners of your house, either from the main router or via the MeshPointHD. If you do want to tweak the settings, however, then the Amplifi app does an excellent job of providing you with advanced networking tools, such as port forwarding and guest network access, in an easy-to-use interface that we’ve come to expect from this router. The design, the app, the whole experience is very nice, and it’s one of the simplest routers we’ve ever set up. For a relatively unknown brand, the Amplifi HD certainly gives its more established rivals a run for their money. It’s also a very good performer, offering brains as well as beauty. While most of the design is fantastic, we’re not too sold on the MeshPointHD designs, as they look a little ungainly compared to the rest of the setup. The price is also pretty high as well – there are much cheaper alternatives out there. The Amplifi HD is an excellent wireless router with range extenders that will look good in almost anyone’s house thanks to an excellent design that Apple’s own Jony Ive would surely approve of. It’s incredibly easy to set up, and it works brilliantly as well. If you have a large house, then the two MeshPointHD extenders will help ensure it is covered by your Wi-Fi network. However, it is expensive, and may be over kill for smaller buildings. If you’re not too fussed about what your router looks like, and don’t mind fiddling around with more complex interfaces, then there are cheaper alternatives out there. But from a design and usability point of view, the Amplifi HD is an excellent router to rival Google Wi-Fi and Netgear Orbi.